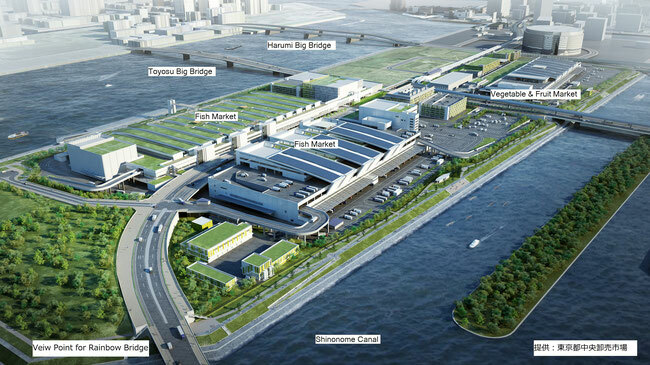 Tsukiji Market will be moved in coming November 2016 to Toyosu Island in Tokyo Bay, located 2.3 km away from Tsukiji. 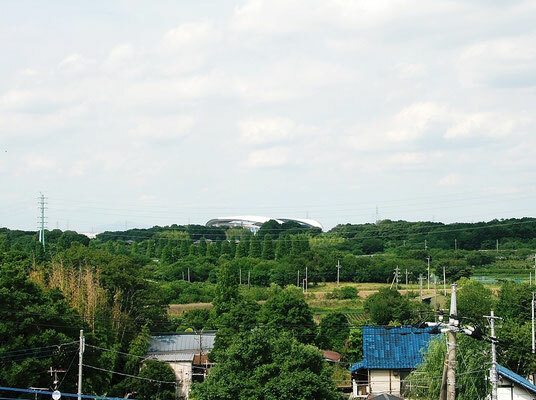 As of July 19, 2016, facilities of Toyosu New Market are still under construction. 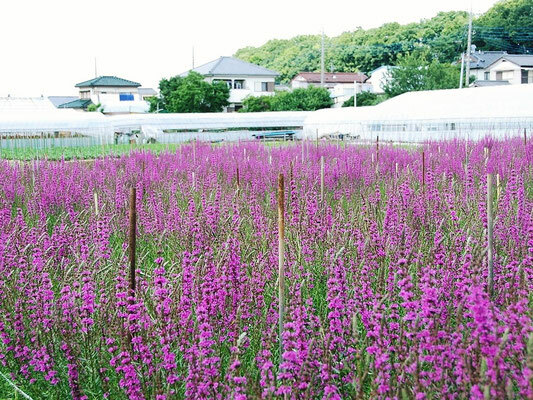 Total area of Toyosu Market is about 41 ha (0.41 square km) much larger than Tsukiji Market with area of 23 ha (0.23 square km). 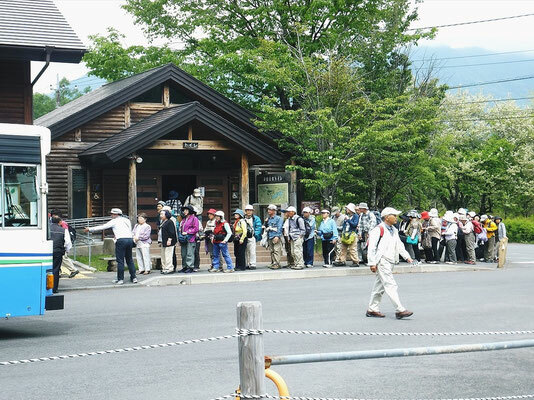 Concerns of international tourists are whether tuna auction can be seen like Tsukiji Market. 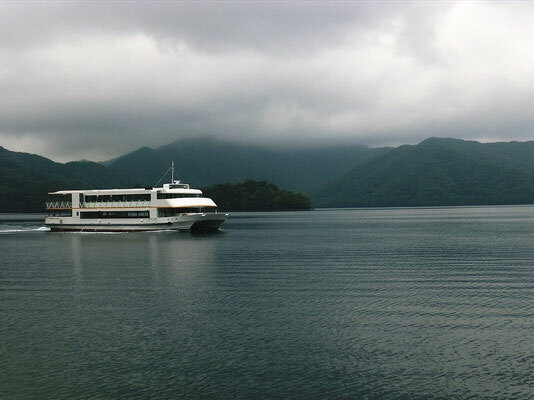 It seems to be positive, and we will update how the tourists can observe the tuna auction after November 2016. 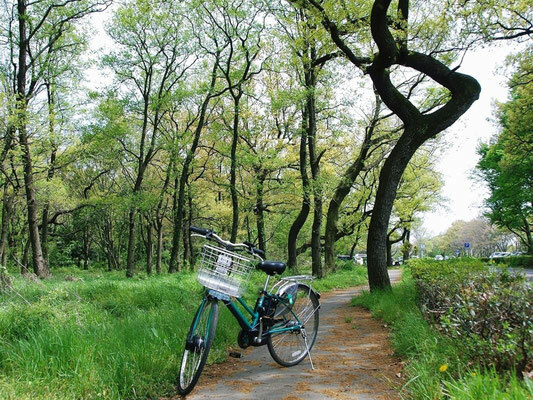 Not only enjoying viewing in the new facility of Toyosu Market, but also walking and biking along the sideways of the island could be much fun in near future. 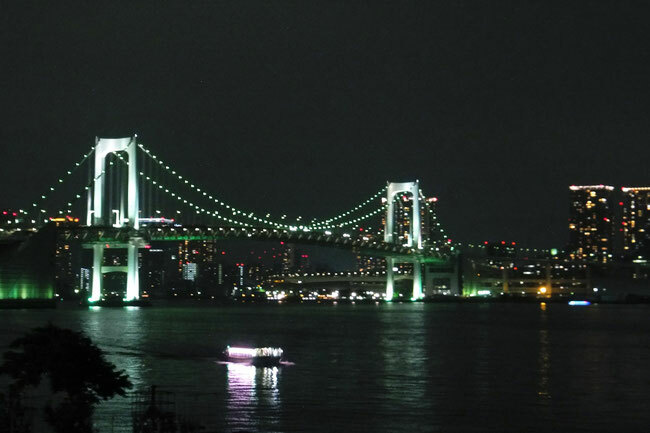 From the west side of the island, Tokyo Rainbow Bridge and high-rise buildings of Tokyo downtown as well as Tokyo Tower should impress you, particularly at night time with its city illumination view. 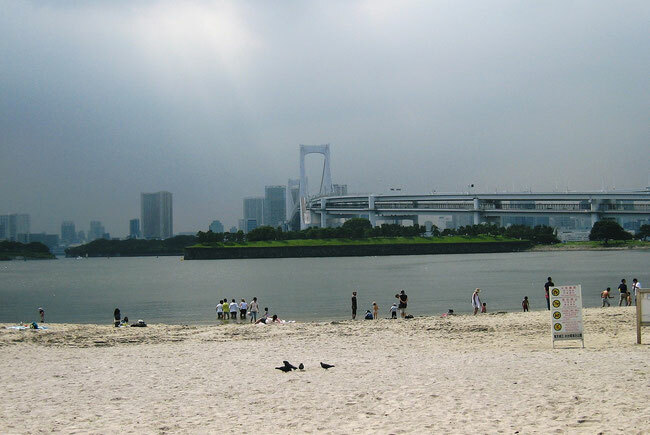 From the south side of the Toyosu Island. 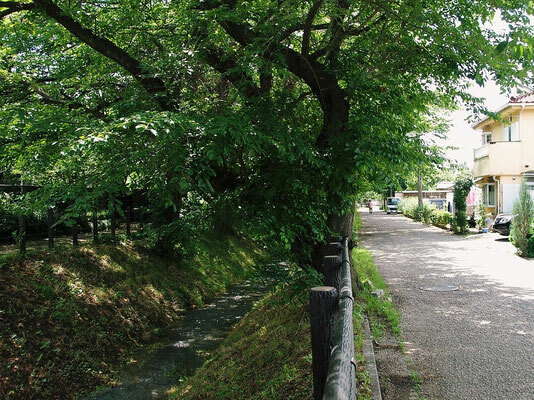 new venues of Tokyo Olympic 2020 on the opposite side of Shinonome Canal could be seen in near future. 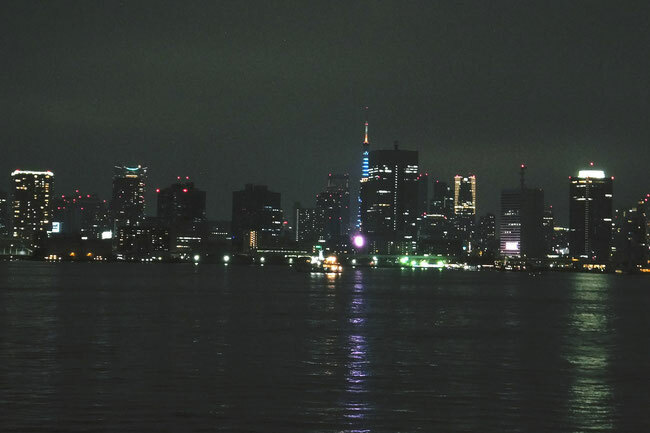 Night view from same location above, of Tokyo Tower and high-rise buildings in Tokyo dpwmtown. 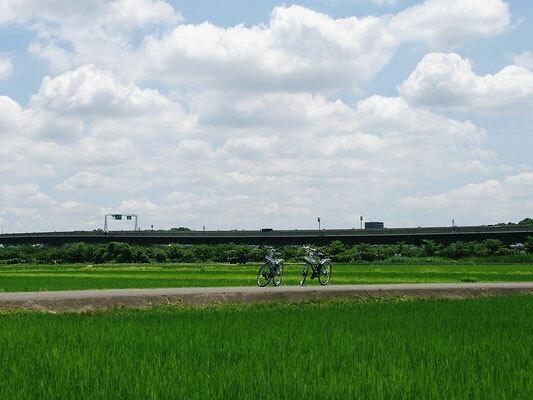 Day-time view from same location above, of Rainbow Bridge. 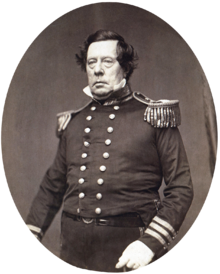 November 24, 1852, Perry embarked from Norfolk, Virginia for Japan. 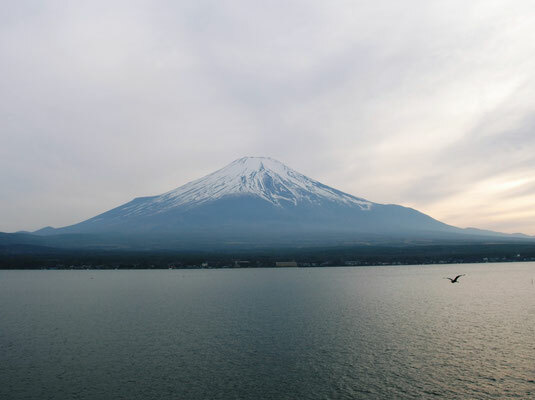 By taking route of Atlantic Ocean, Indian Sea, and Eastern China Sea, Perry finally reached Uraga at the entrance to Edo Bay (now Tokyo Bay) in Japan on July 8, 1853. 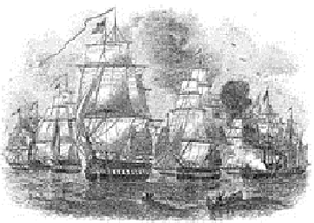 This time, Perry demonstrated the enoumous power of Black Ships by firing blank shots from his 73 cannons. 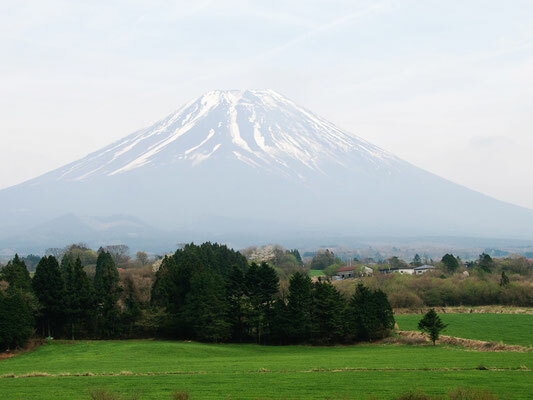 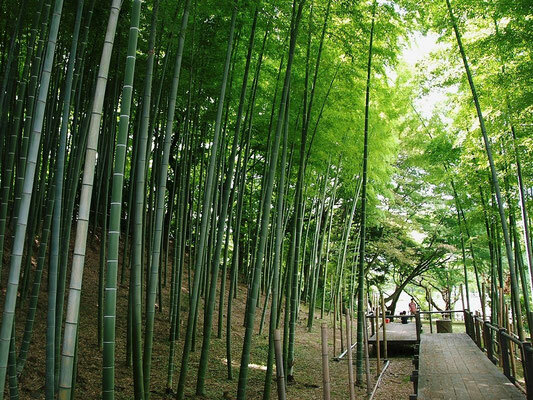 By his astonished pressure, Tokugawa Shogunate accepted the letter from Americans and the second visit of Perry in 1853 for the Japanese reply. 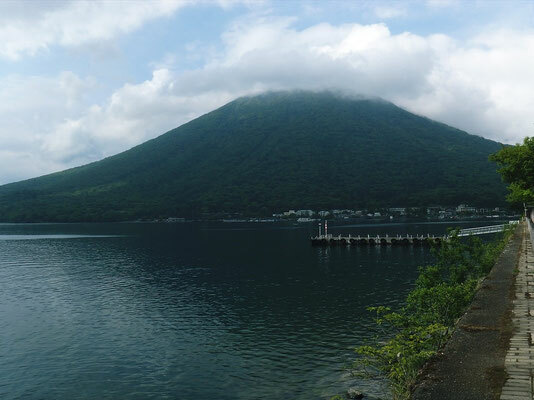 Tokugawa Shogunate immediately started project to reclaim six areas and make fortifications in Edo Bay for putting gun batteries to protect Edo Town from attack by the black ships. 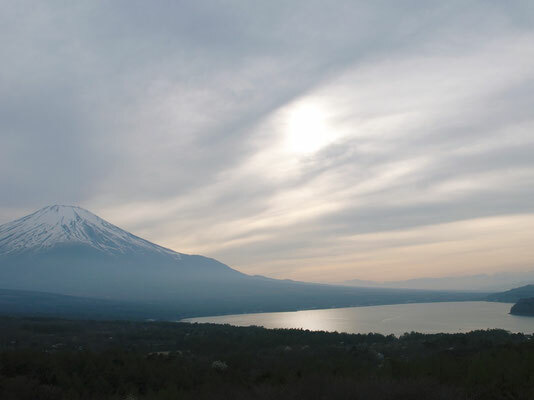 On his second visit to Japan in March 1854, the first gun battery at Shinagawa was already completed, so that the 10 black ships with 1,600 men were anchored near Kanagawa, far from the gun batteries. 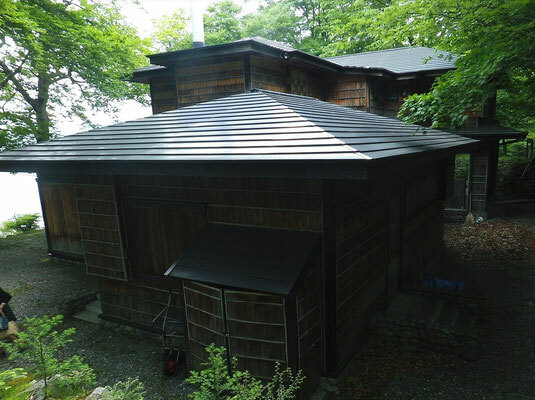 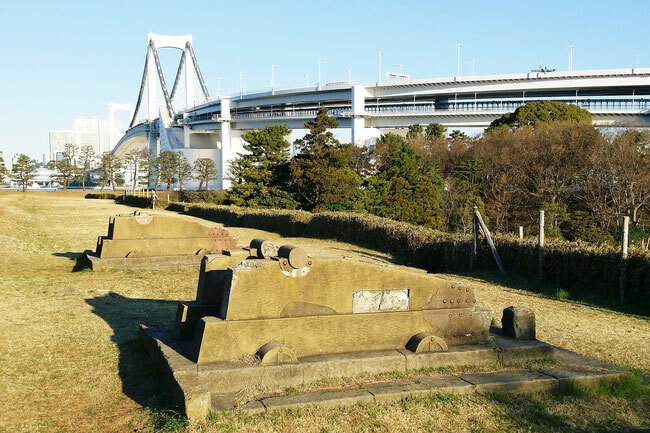 Although the six “Odaiba” were built for 8 months, the guns installed were never used because Japan opened the country peacefully along with agreement titled “Treaty of Friendship Commerce and Navigation between Japan and the United States of America”. 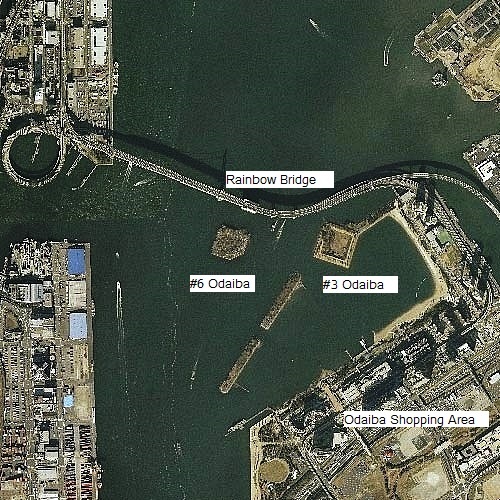 View Point of Gun Batterries and Rainbow Bridge at #3 Odaiba, Tokyo. 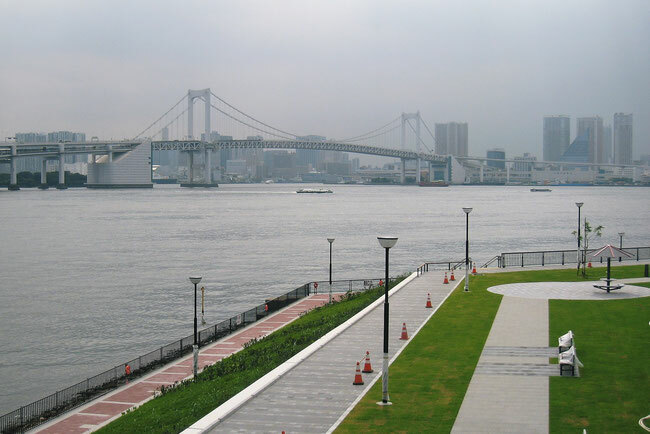 Only #3 and #6 Odaiba are now remained while other four odaiba were gone away arleady. 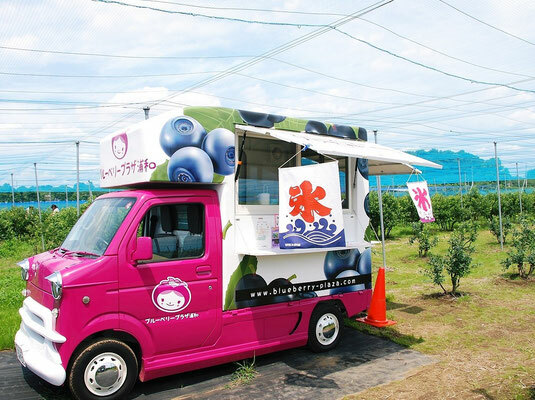 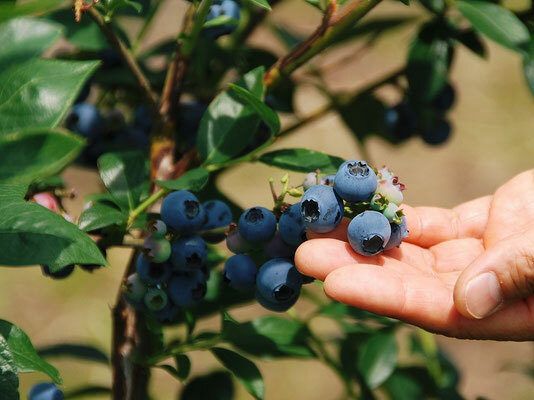 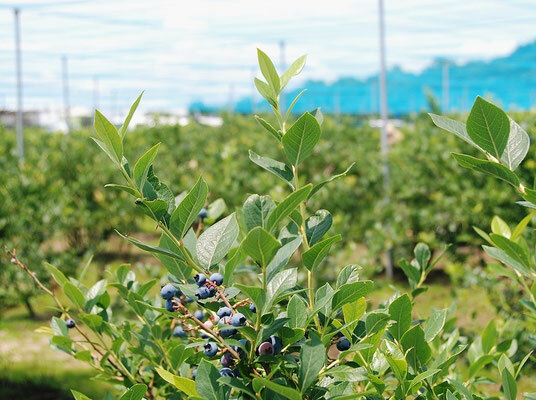 It is blue berry season in Minuma Farm Land and we visited Blue Berry Plaza Urawa, where you can enjoy picking and eating blue berry of all-you-can-eat at Yen 500 with no time limit. 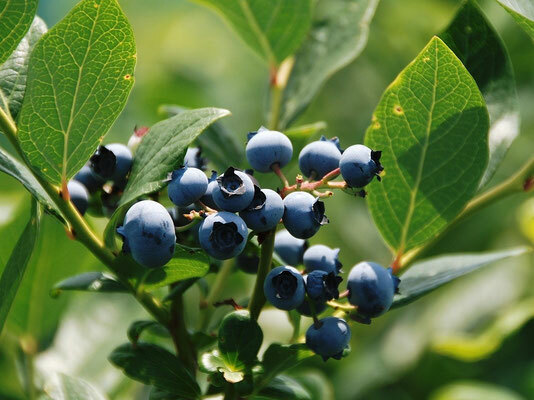 The young blue berry was my favorite because it was not only sweet but also sour and very good mixture of tastes. 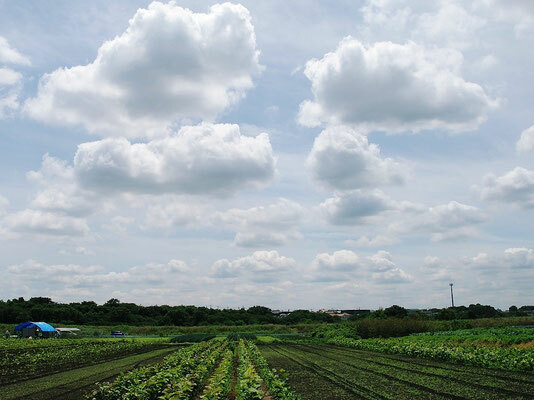 Although it is now rainy season, but today was sunny and blue sky day. 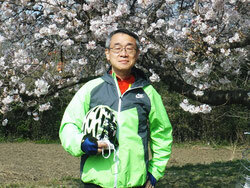 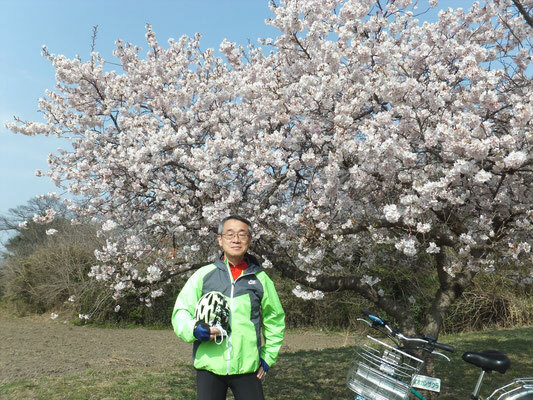 Leaves of sakura tress over the bike road was like sun shade and made our running comfortable. 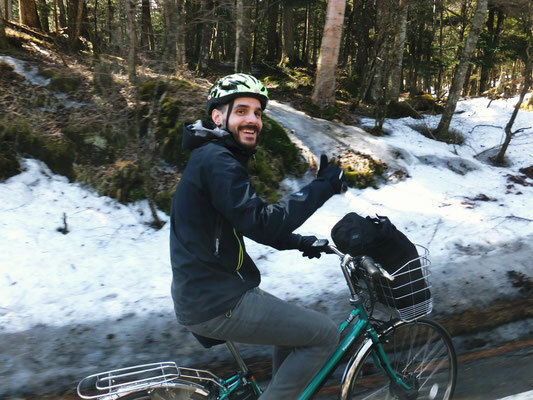 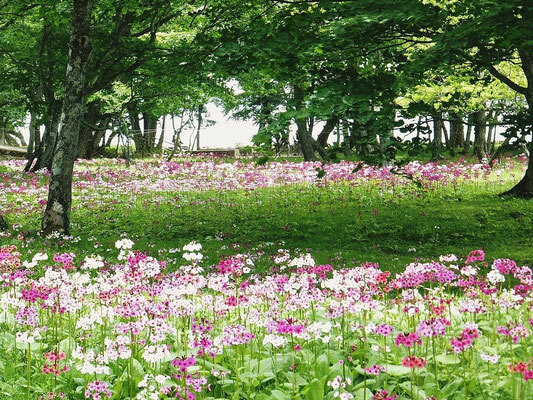 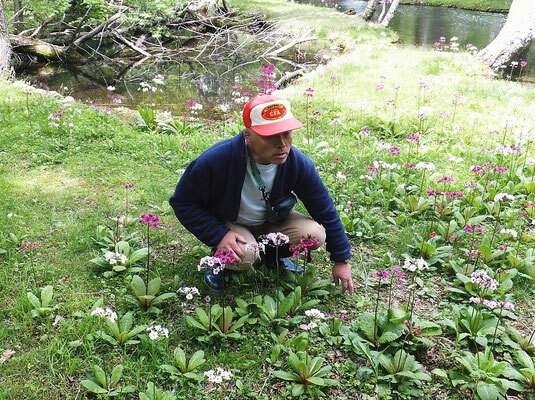 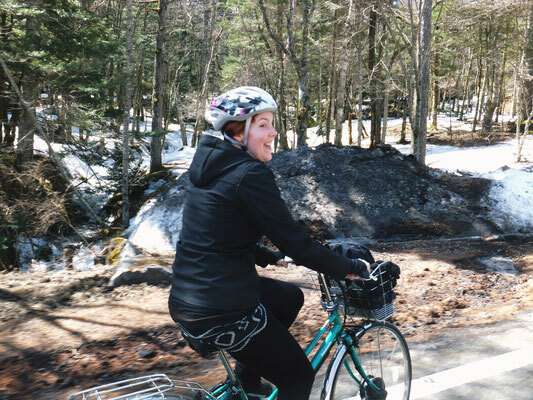 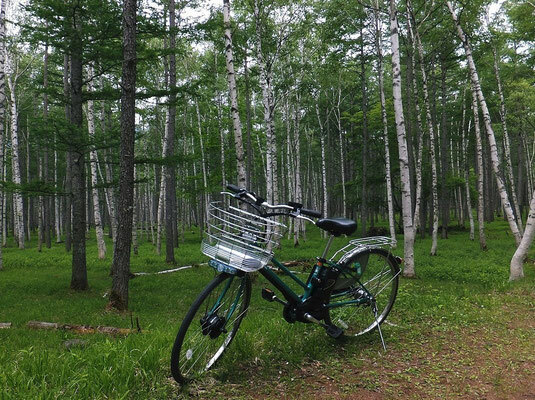 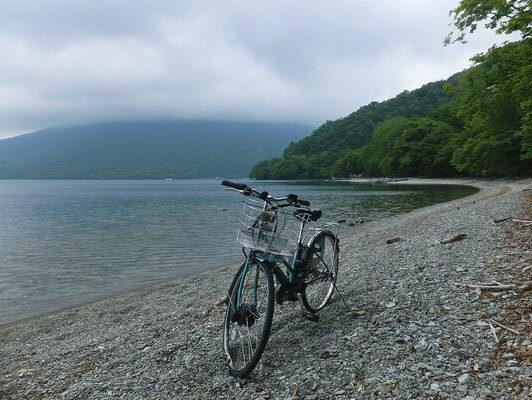 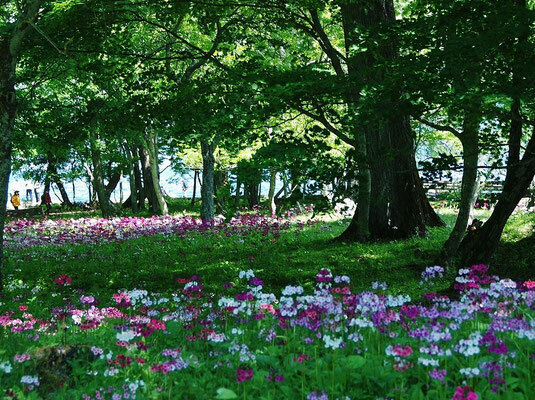 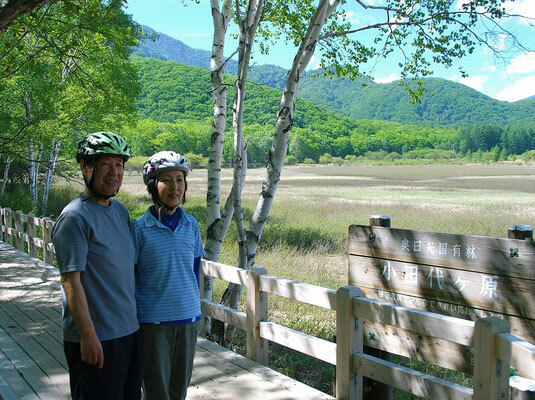 Japanese guest couple enjoyed bike tour to "Senjyugahama Beach of Lake Chuzenji Lake where Japanese primerose or "Kurinso" is fully flowering. 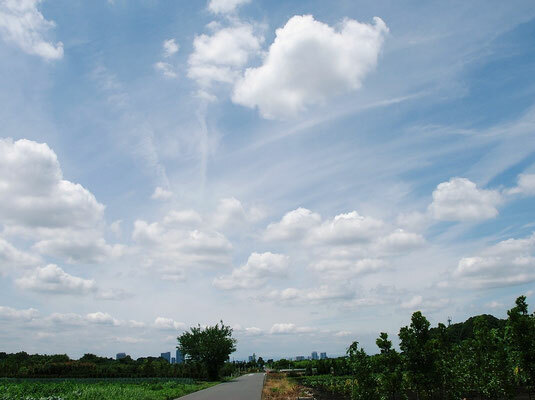 The season was already in early summer and also in rainy season, however, it was very clear-sky and sunny day on June 10th. 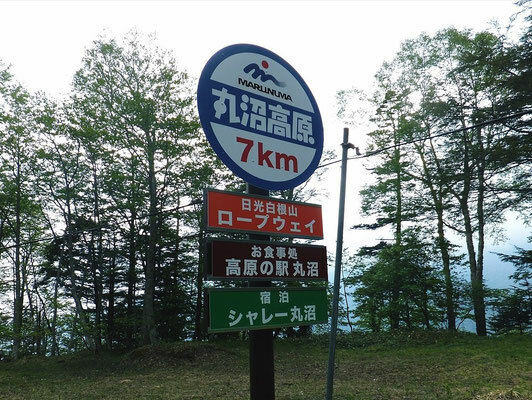 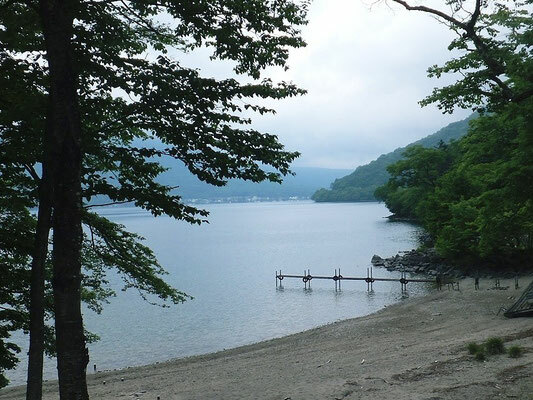 To the beach, we took Nikko City Route 1002 in Nikko National Park, where young leaf season comes later because the area is located at the high elevation like 1200 to 1400 meters high. 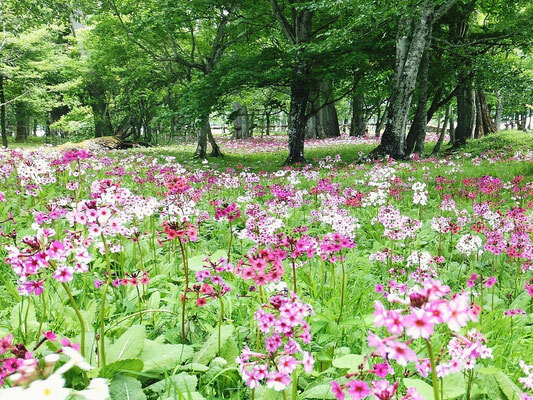 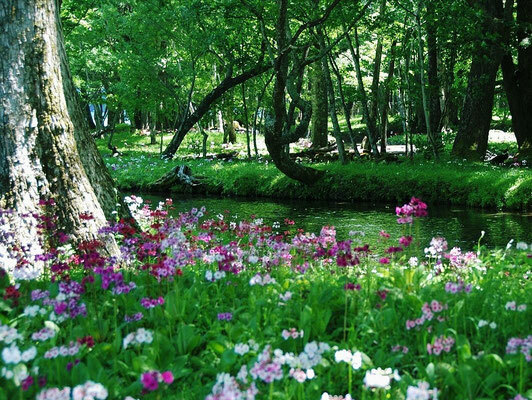 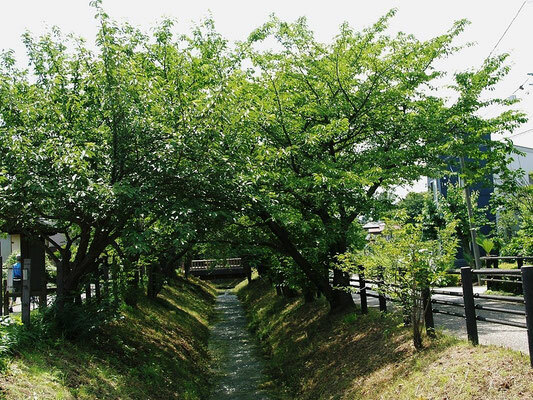 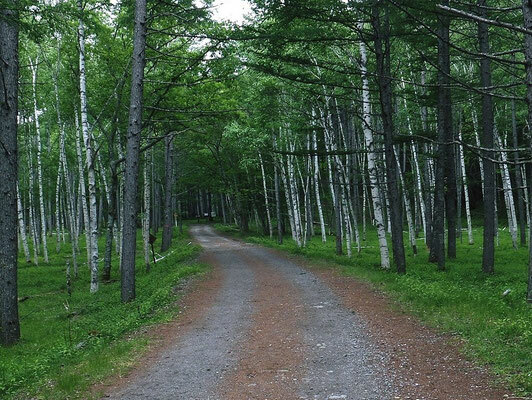 We enjoyed viewing seasonal flowers and running through fresh green forest. 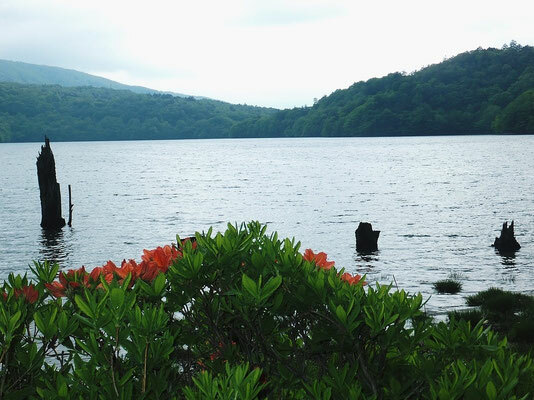 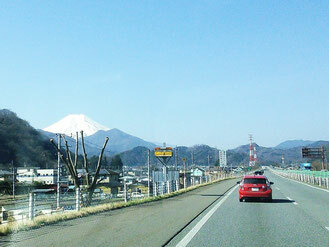 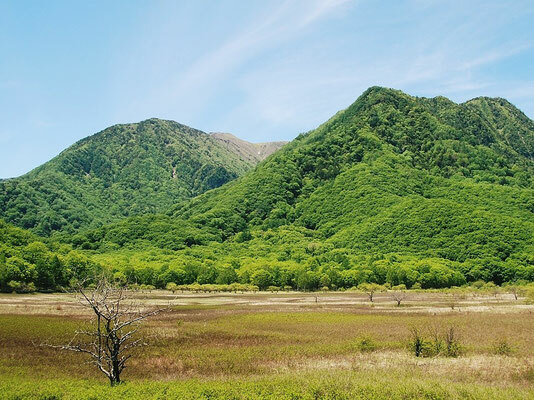 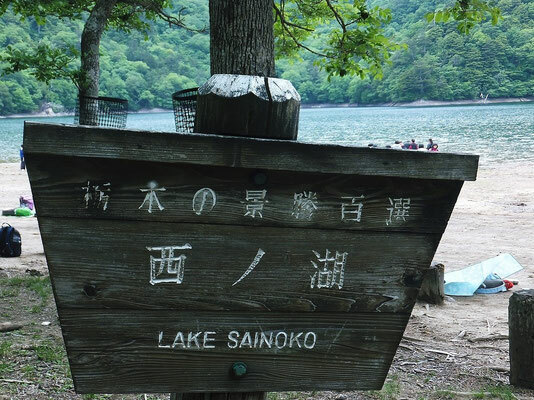 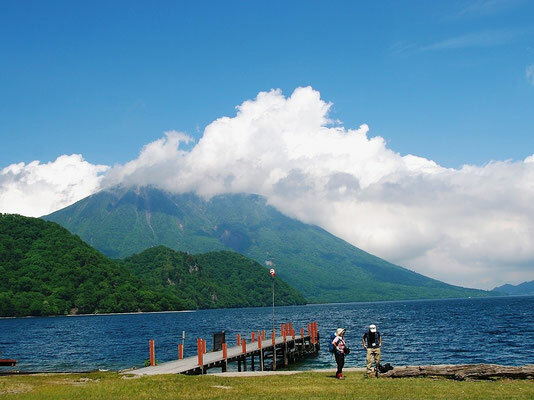 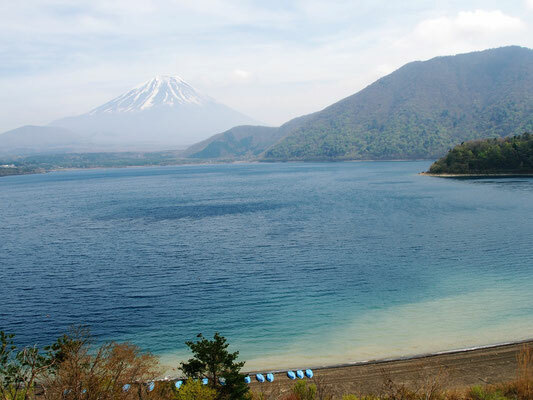 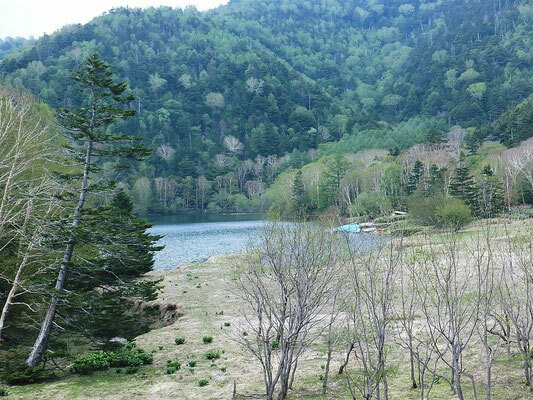 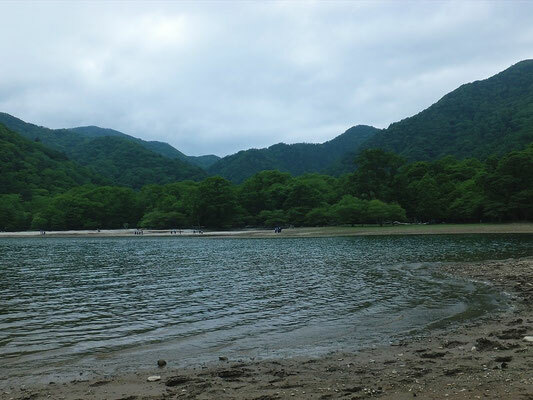 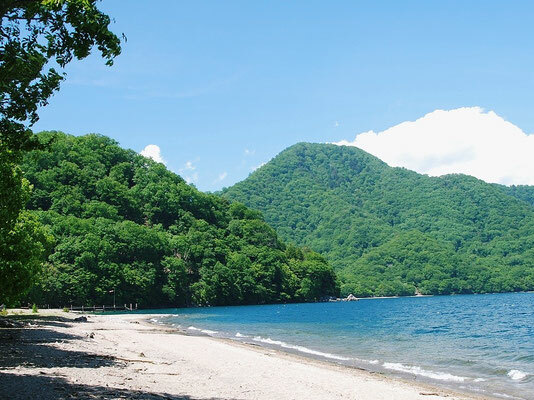 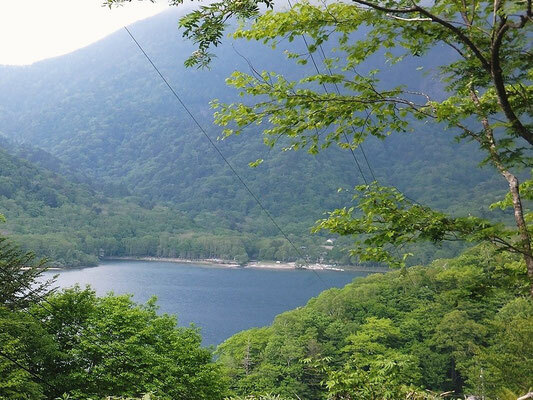 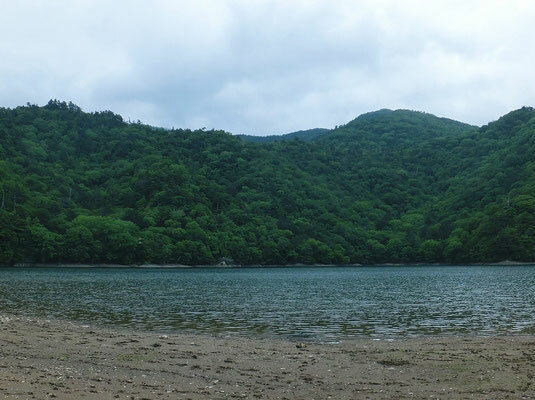 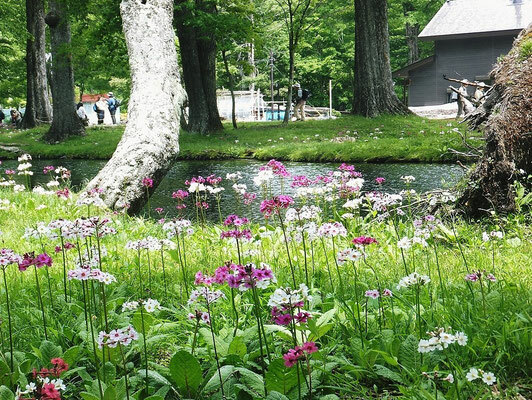 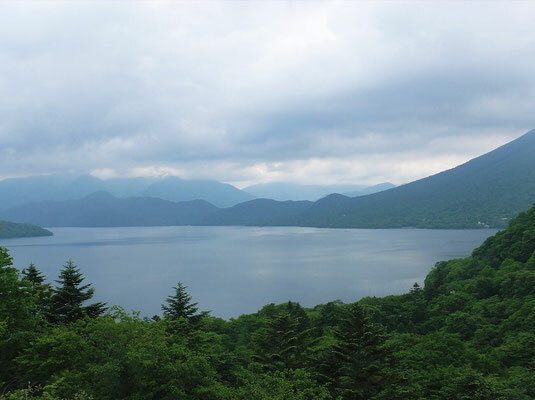 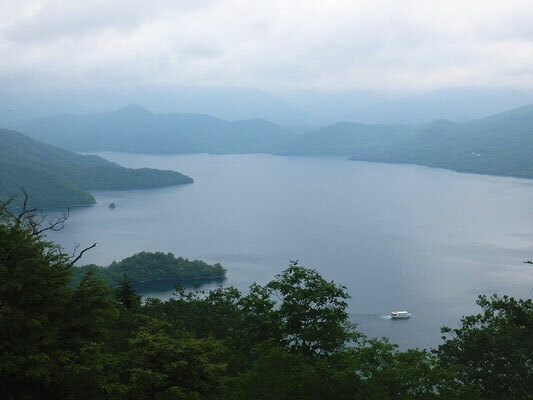 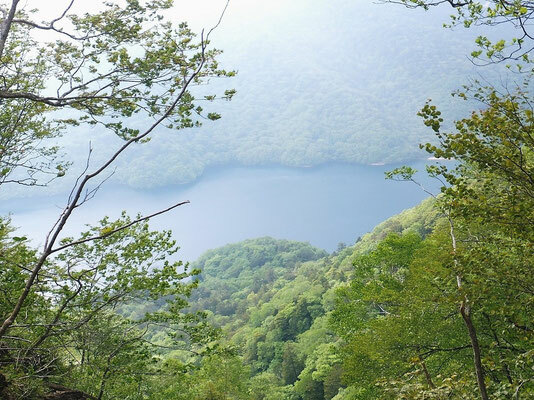 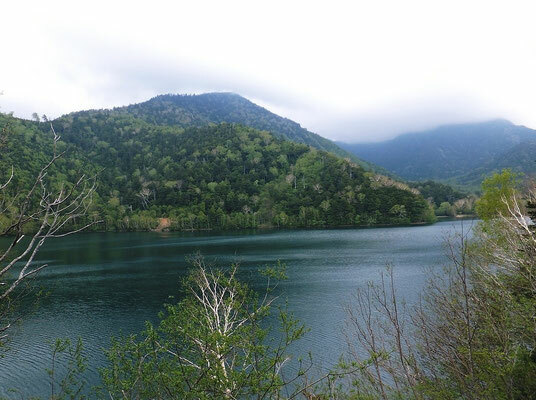 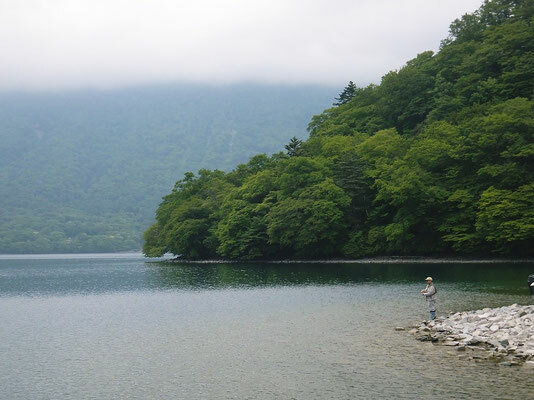 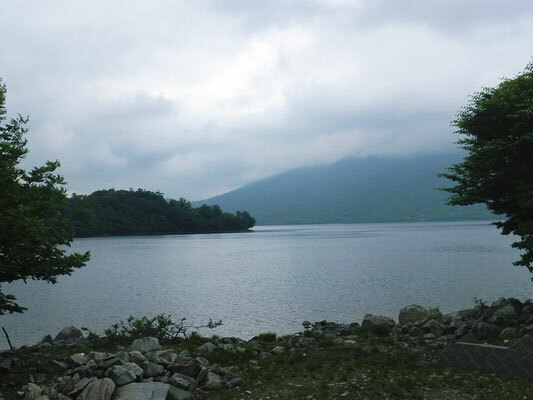 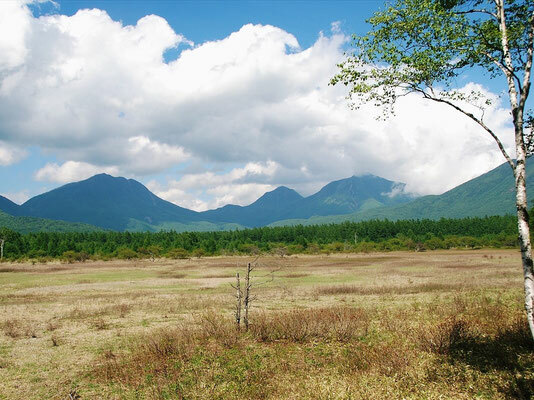 Sugenuma and Marunuma are lakes located in Katashina Village, Gunma Prefecture. 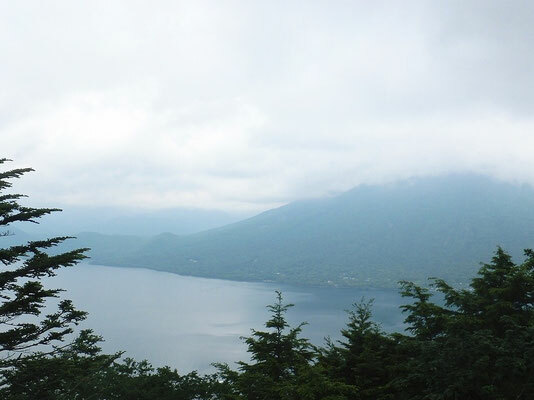 I made bike tour between these two lakes. 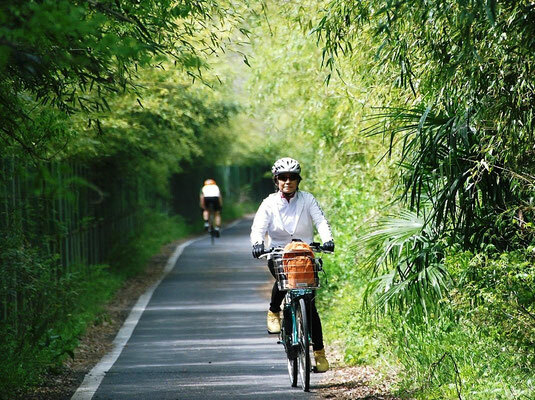 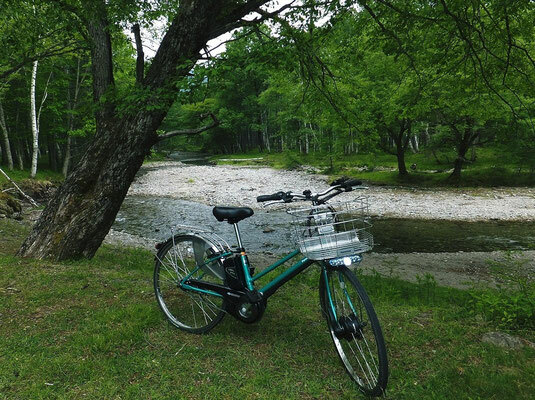 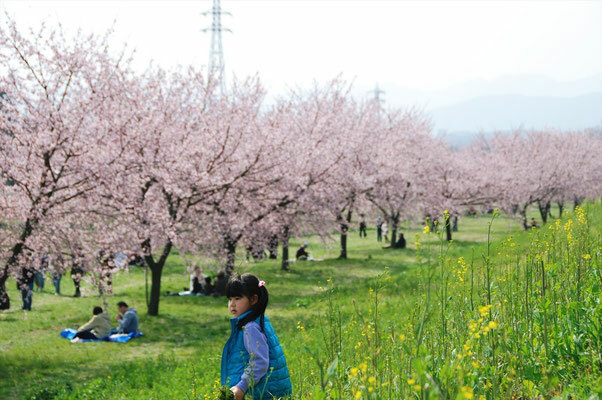 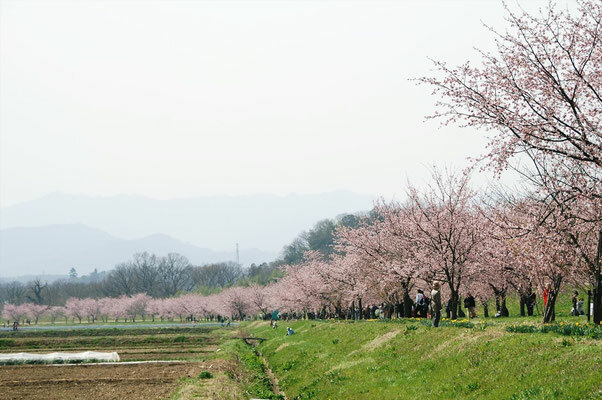 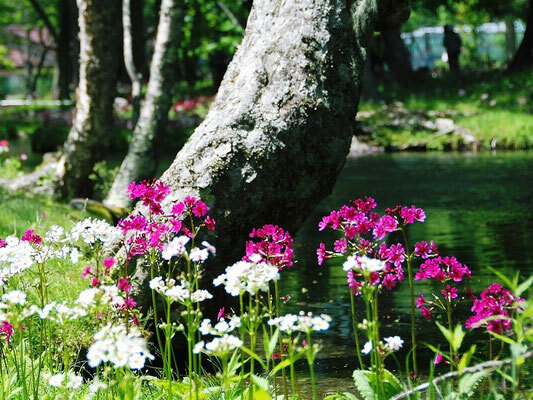 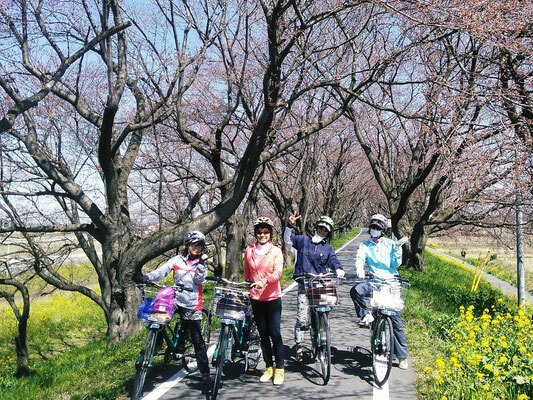 After Sakura blossom season, you can see flowering of "Sakura-sou" or primrose in Arakawa riverbed where we enjoy bike tour. 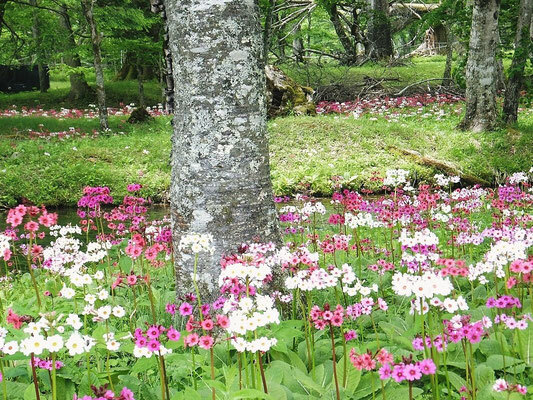 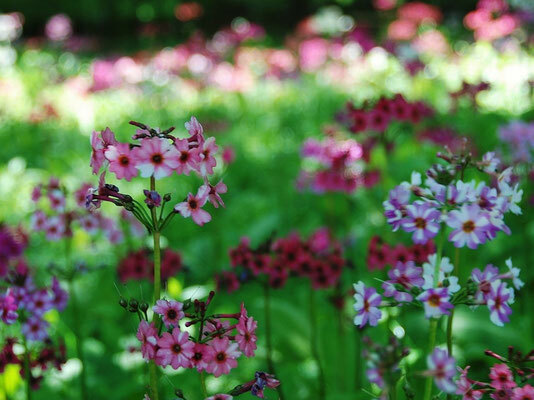 This flower was almost disappeared by field development after world war 2nd. 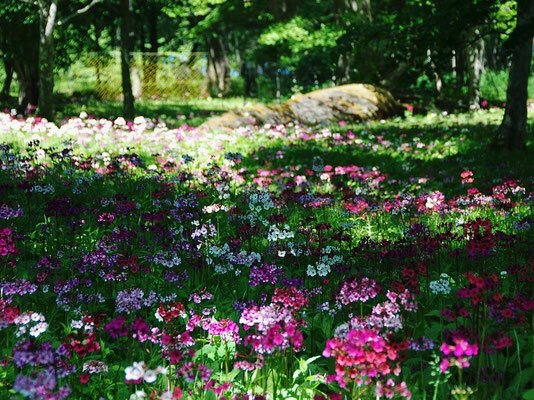 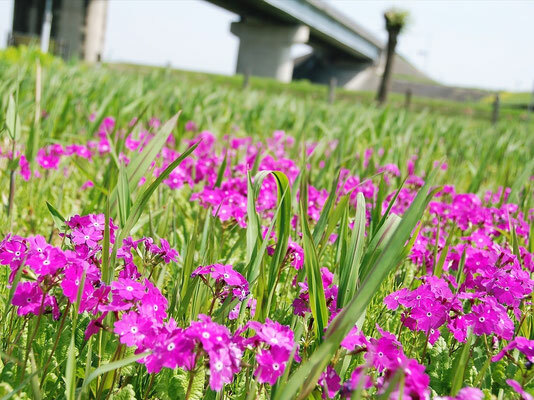 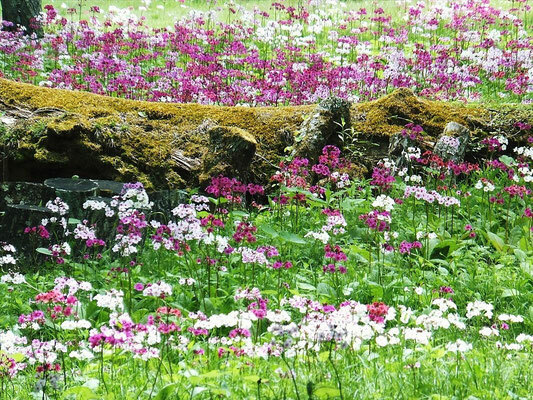 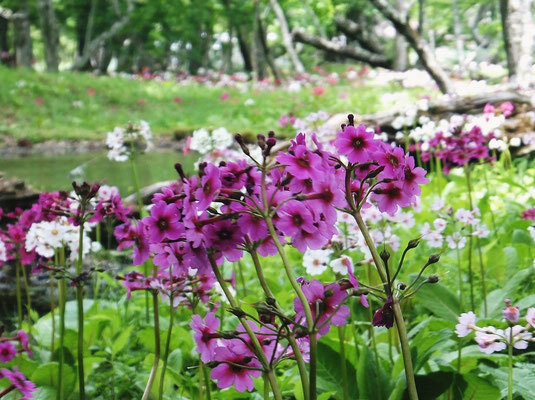 Sine this flower was designated as one of endangered species, two flowering areas in Arakawa riverbed have been reserved by local people. 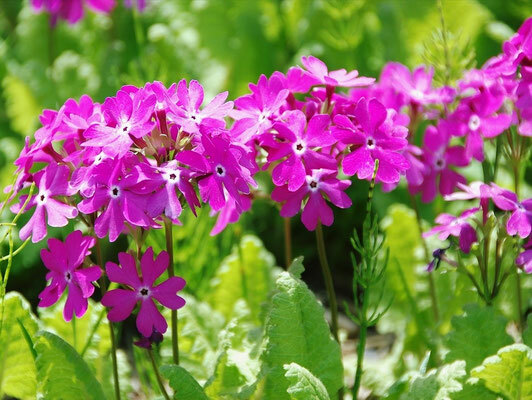 We enjoyed today viewing pretty small appearance of primrose as well as young leaves in light green along the bike load. 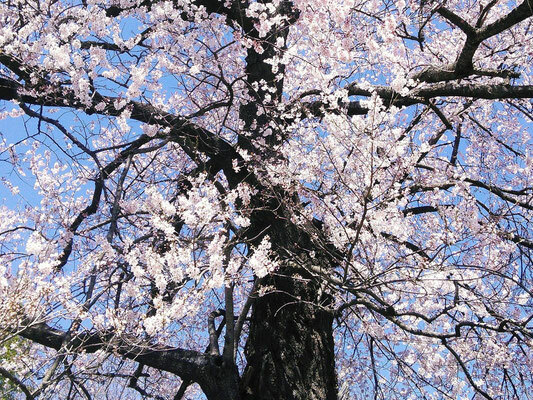 Sakura season in Saitama prefecture seems to be over. 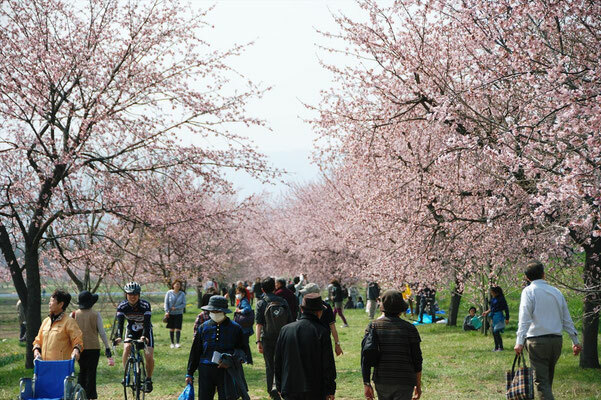 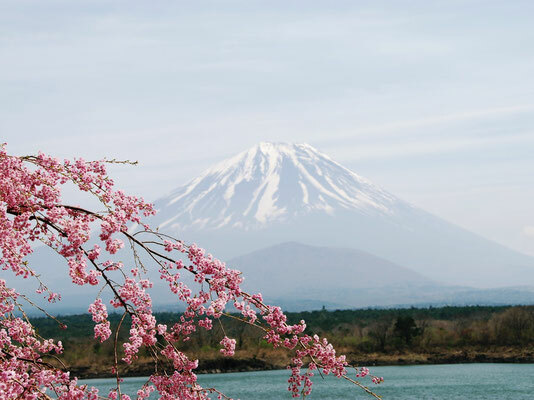 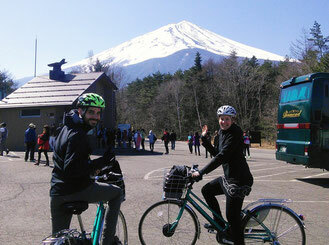 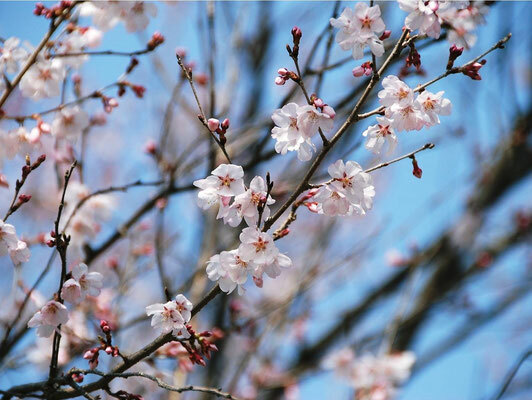 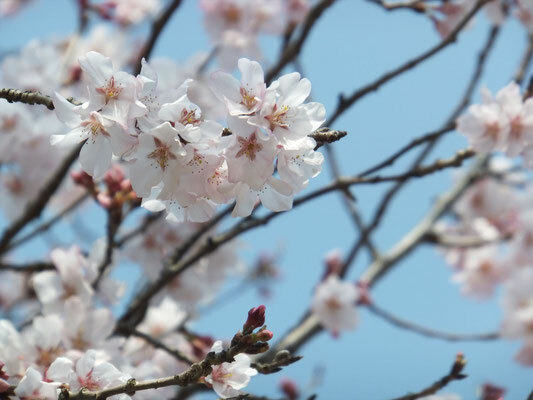 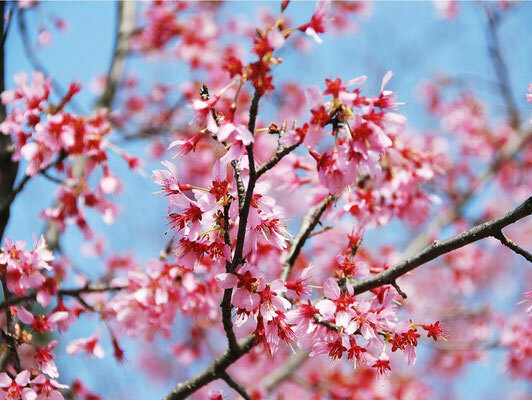 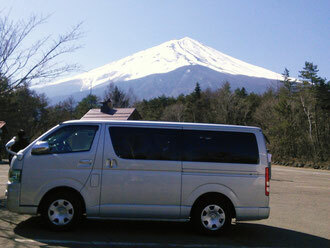 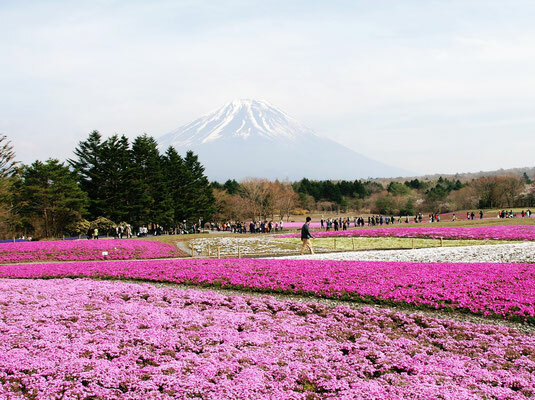 We are so glad that we could have happy time to enjoy viewing sakura blossom with many guests and friends. 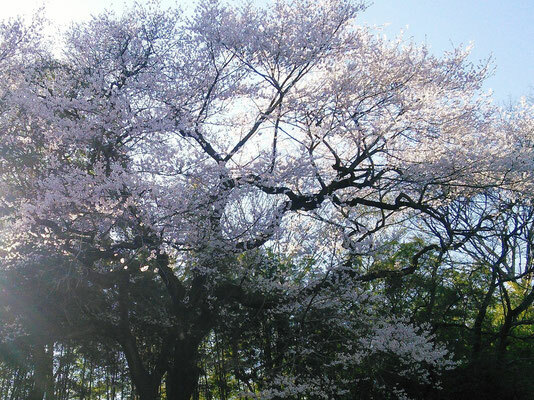 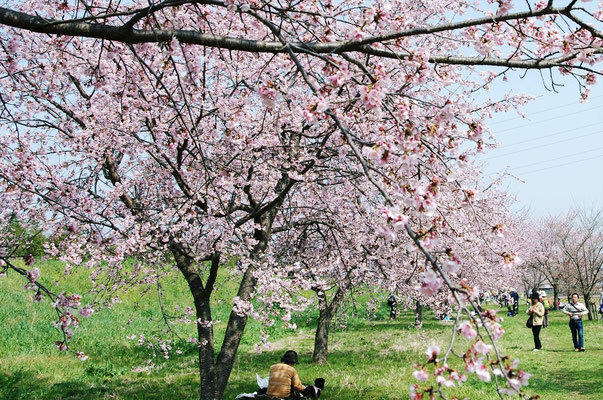 As memory of beautiful days, let me put up photo of sakura viewing.